Before you rush out to purchase this accessory, please make sure you have TMCC and or Legacy systems installed on your layout because with them you will not be able to operate the unit. The functions are accessed visa the CAB-1, CAB-IL and CAB-2 handhelds. I am not one for adding a lot of operating accessories to my layout but because of the footprint on this accessory, approximately 5 ½ inches wide by 12 ¾” and because the model simply looked good I purchased it. The feature set was a secondary consideration. For example, the pre-painted figure, building, painted valve wheels and tank are color coordinated and makes it easy to add additional detailing. The loader comes with three items, the main building with the tank, the loader arm with the nozzle and the lighted lamp post. Assembly is very simple, plug in the light and install the loader arm. In both cases, take care when the installing the components. Assembly of the three components should take less than 5 minutes. Whether you model steam era, diesel era or a combination of both the key to enjoying this really cool accessory is positioning it for success. You must find a location on your layout that has sufficient space for the Loader Arm and its movement. When extended, the Loader Arm needs to be positioned directly over your locomotives stack or the caboose’s chimney. To help assure that I could line up the Loader Arm any engine, steam or diesel, on the layout I drew a red line across the track and using a square, extend the line from the track onto the Homasote platform. Once again, to double check my work, see the pictures, I used the UP smoking caboose to ensure my “stop” point worked. My next step in the plan is then to make or buy a small sign to put a “stake” in the ground at the “stop point” to be used as the marker to help line the engine /caboose up to the loader arm should extend. Ultimately, the engine or caboose needs to be line up on a 45 degree angle. Once these steps are completed and the Smoke Fluid Loader is in position, attach it to your platform deck. The entire process took me about 30 minutes. One other item, the Smoke Loader Arm motor will move the arm up to 90 degrees but the arm has a full 360 degree motion. The arm is engineered for positioning it however you feel like it on your layout and for making adjustments as needed. Now that the unit is set properly seated on the layout the next step it to fill the storage tank. Filling the tank is simple, just open the plug on the top of the tank by pulling straight up on the outside edges. Lionel recommends their premium smoke fluid, item 6-37842 only be used in the Command Control Smoke Loader accessory. Fill the tank, replace the cap and cleanup any spilled fluid. 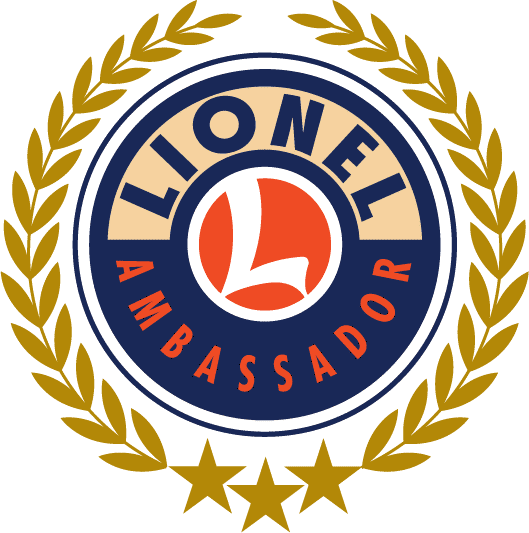 The reason Lionel strongly suggests using their premium fluid is design related. Their premium fluid viscosity is designed for their products. Using other brands may impact performance and could potentially damage the internal pump and tubing. One of the main reasons I purchased this accessory was to see how this would operate at the NJ Hi-Railers Club and at my home since both locations have the Legacy and TMCC systems. In order to use the accessory you need to program the unit for operations. On the left hand side of the unit is the Program / Run switch. Now that the accessory is properly positioned and full of fluid it’s time to test, I mean run trains and operate the smoke fluid loader. Major Point – Lionel DOES NOT recommend using the Smoke Fluid Loader for the initial filling of the smoke unit if your engine or rolling stock is brand new. New units need to have their smoke units filled manually with a maximum of 20 smoke fluid drops to ensure proper operation. We have all experienced the “air bubble” smoke unit blockage so this will help prevent that from happening. If an air bubble exist is the smoke stack, simply blowing down the stack should clear the problem. One of the nicer features on the accessory is the LED lighted lamp post. The light is turned on and off by using the hand held remote. Pressing AUX 1 and 9 key turns the light on. To turn the light off press AUX and the 8 key. Lionel expects the LED light to last the life of the accessory. If for any reason the light goes out it is not user serviceable, meaning you need to contact Lionel for service. I am sure this won’t be a major problem but I plan to purchase another lamp post as a backup. What happens if you need to empty the storage tank? Simplely position the arm so that you can place a smoke fluid bottle underneath it. Move the Program / Run switch to “Program” and pull down the “Brake / Boost” button on the hand held remote until all the fluid has been pumped out of the tank. Please check our website for an updated 2016 ~ 2017 show schedule.